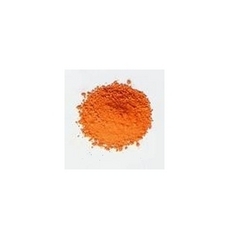 The Pigment Orange 5 offered by us is processed using premium grade ingredients and in compliance with the international quality standards. It is available in powder form having molecular formula C16H10N4O5. These find wide application in paint, offset ink, water base ink, plastic and various other industries. Our range is available in proper packaging and at most competitive prices. 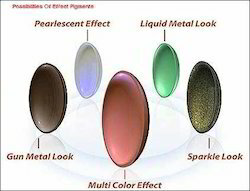 Effect Pigment take a late-model synthesized slice crystal of high transparent as substrate, coated with titanium dioxide and other metal oxides. By accurately controlling the thickness of coating layer to produce pure white, fantasy tricolor, gold, red, purple, blue, green and other attractive colors, embodying a resplendent and radiate diamond effect. B. N. Mehra And Co.